Do you prefer downhill or cross country skiing? 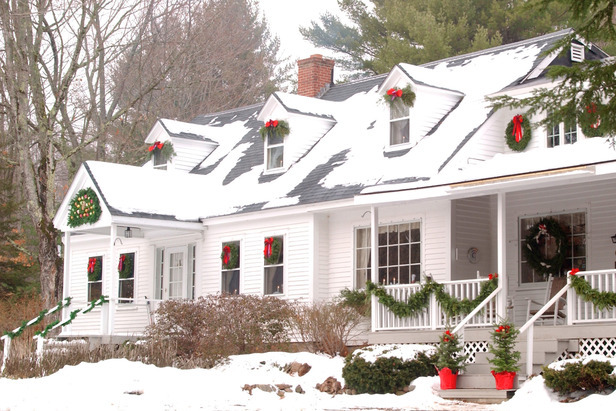 The two-night “Ski It Your Way” package at the Buttonwood Inn puts the decision in your hands. Two complimentary one-day ski tickets can be applied toward alpine skiing at Cranmore, Wildcat, Bretton Woods and Black Mountain resorts, or cross-country skiing at Mt. Washington Valley Ski Touring & Snowshoe Center and Bretton Woods. Start each morning at the 1820s farmhouse inn with a free gourmet breakfast, and wind down every evening with complimentary tea or hot chocolate with baked treats. Rates vary from $339 per couple to $559 depending on activity and time of year. Vouchers may also be applied toward snowshoeing or snow tubing. Book here.